I am a Senior Software Developer with many years of experience of Java, .NET and PHP development. 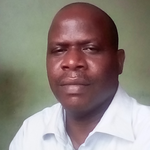 My services include the development of WordPress or PHP websites, weblogs,...Read moreI am a Senior Software Developer with many years of experience of Java, .NET and PHP development. My services include the development of WordPress or PHP websites, weblogs, web apps and corporate portals; WooCommerce or Magento e-commerce webshops; Ionic mobile apps; and Java, ASP.NET Core and PHP web apps, web services, APIs and middleware; training of development teams, software development management and general IT consultancy. For me, being on-time and on-budget, excellence and a great customer experience are parts of the deliverable for any assignment. Some of the applications I have developed elsewhere include Online Staff Appraisal System, Online Examination System, Collection Web Service, Corporate Internet Banking Middleware and MasterCard Middleware (Pre-Auth/Capture). I have an MSc degree in Computer Science and I have led and manage Software Development, E-Business and Payments channels teams. I have experience in software development (full lifecycle end-to-end), software development management, IT relationship management, E-Business and Payments management, and Bank Branch operation supervision.